Edward Snowden, a 29-year-old former employee of the CIA and the National Security Agency (NSA), hit the media spotlight after he leaked to press information about an extensive surveillance program by the US government, which allegedly monitored phone and electronic conversations of millions of Americans. 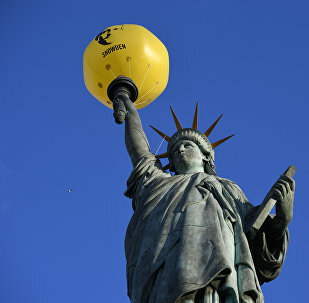 The Amnesty International launched a hot air balloon with Edward Snowden's portrait above the Statue of Liberty in New York. Former CIA analyst Raymond McGovern explained to Sputnik why Donald Trump would face a problem to pardon whistleblower Edward Snowden. The Norwegian Supreme Court dismissed on Friday an appeal of US whistleblower Edward Snowden against an earlier court’s ruling to reject his request for protection from possible extradition to the United States in case of visiting Norway, the Supreme Court said in a statement. The whistleblowing website WikiLeaks urged on Friday outgoing US President Barack Obama not to miss "political moment" to pardon former US Army private Chelsea (Bradley) Manning and whistleblower Edward Snowden before Donald Trump takes office. Edward Snowden’s lawyer said US President-elect Donald Trump would closely review the whistleblower's case. Nicolas Cage, who played a role in the recently-released film Snowden, said he sought to reflect the story that changed the world. 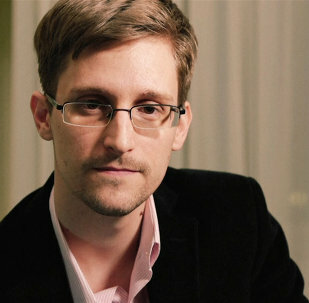 Former US intelligence contractor-turned-whistleblower Edward Snowden filed a petition with the Norwegian government to secure safe passage to claim an award for shedding light on government surveillance, the Norwegian PEN association of writers said in a statement Thursday. Even the most cherished secrets once come to light. In an careless move, the US government published a pack of unredacted documents containing the email address of Edward Snowden as the target of surveillance in the notorious Lavabit case. In a world where the Internet has become ubiquitous, everyone should consider threats associated with possible leaks of vital personal data and take simple steps to prevent it, former NSA contractor and whistleblower Edward Snowden said in an interview with the Intercept. Newly revealed documents show how much pressure the US put on countries throughout Europe while attempting to track down and capture former CIA and NSA contractor and whistleblower Edward Snowden while he was on the run in 2013. A private US company that performed a background check on whistleblower Edward Snowden at the request of the US government, has agreed to pay $30 million in fraud settlement, the US Department of Justice (DOJ) informs. According to the Intercept website, the British police confirmed a two-year probe into Edward Snowden's leaks of secret documents. Exactly two years after revelations by former US National Security Agency contractor Edward Snowden shook the world, exposing mass surveillance by the US and UK - intelligence services around the world have been forced to radically rethink their strategies. The US National Security Agency (NSA) and its allies tried to hijack Google and Samsung app stores via software vulnerabilities to launch a massive data harvest campaign putting millions of users at risk, new Snowden revelations show. 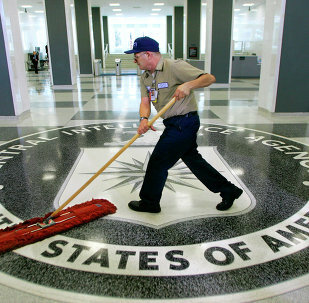 Former Romanian President Ion Iliescu allowed the Central Intelligence Agency (CIA) to operate torture sites within his country because he was the leader of a puppet state whose marching orders came from Washington, former CIA analyst Raymond McGovern told Sputnik. 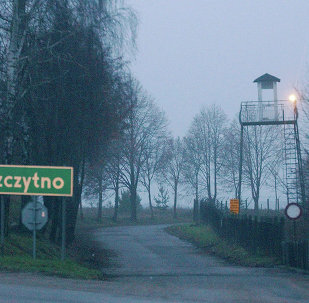 The United States authored a worldwide network of black sites during the War on Terror and exported a policy of torturing enemy combatants, former senior executive at the National Security Agency (NSA) and whistleblower Thomas Drake told Sputnik. The United States could supply Kiev with 'not offensive' weapons if the Minsk agreements on Ukrainian reconciliation fail, US Department of State spokesperson Jen Psaki said Wednesday. After the tragedy of 9/11 Washington's policies became divorced from reality, according to Edward Snowden, former American intelligence agent. Edward Snowden's nostalgia for Switzerland does not mean he applied for asylum there, the whistleblower's lawyer said. Google’s Executive Chairman Eric Schmidt said that the US should inform about their surveillance and let citizens debate on the issue.